An options market-maker on the DTB, the German electronic options and futures market, at Schroder Munchmeyer Hengst Bank in Frankfurt. He received his Master's degree in industrial engineering in 1985 and a doctral degree in finance in 1989 from Karlsruhe Technical University. 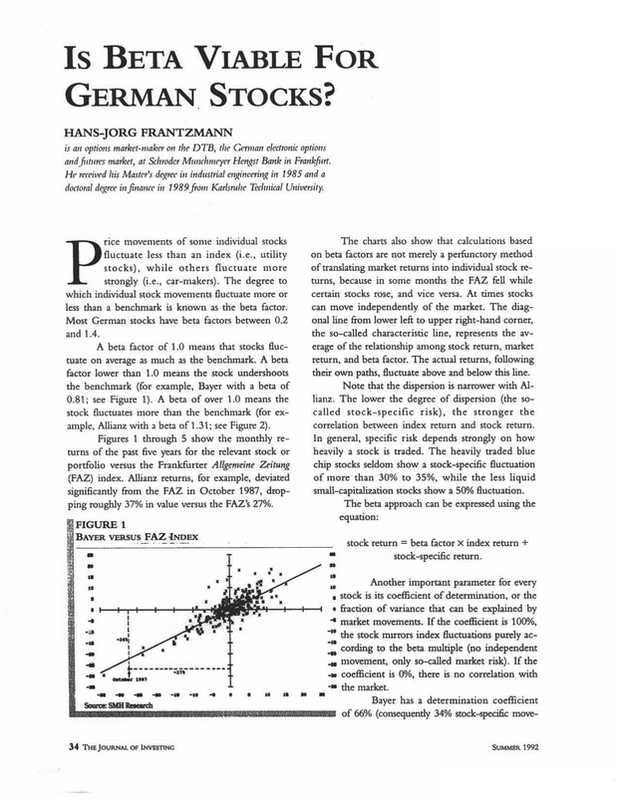 You are going to email the following Is Beta Viable for German Stocks?